A “super-voter” is a voter who votes in every election. Who pays attention to this? Political parties and candidates and elected officials – the people who are directly involved in policy and law making – the very people we want to care about animal and humane issues. Candidates target “super-voters” in their state, county, township, or district races at election time because they know that a “super-voter” is going to get to the polls on election day – every election day – and cast a vote for someone, and they want to be that someone. When a constituent calls their elected officials about a particular bill, seeking support or opposition, many legislators check their data-bases to see if the caller votes, and the legislator will know that a “super-voter” is someone who will respond to a candidate’s position at the polls. Simply by voting in every election – regardless for whom or what party – elevates you to “super-voter” status – and that increases the weight of your opinion, stature and voice to candidates and parties. Our Voter Resources page has links to information about voting and lists of candidates running for various municipal offices. And, while Humane PA endorses only candidates for state office, it is very important that we all contact candidates for local office to let them know how important humane issues are and to ask where they stand on improving policies affecting animals. Many candidates will be at polling locations on election day, where you can introduce yourself and ask them their position on animal protection. We each can be the person who puts animal issues on a candidate’s radar screen early in their careers. 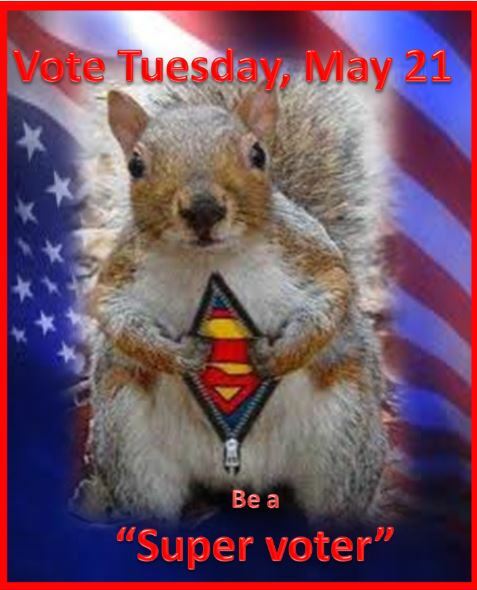 So, be a “super-voter” and get to the polls on May 16th! It is one more way – and an easy one at that – to increase the power of the animal vote. ← Time to Make New Friends is Now!